Experience the power of a professional kitchen with the T26DS49N0. 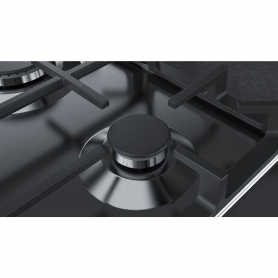 This built-in gas hob has a modern stainless steel finish, quality cast iron pan supports and black controls to match. Looking to do even more cooking? 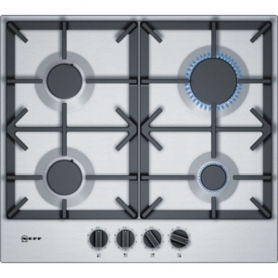 There is also a 75 cm, five burner model in the same design – T27DS59N0. Experienced cooks use gas hobs because they’re responsive, versatile and give serious heat when required. NEFF’s gas hob gives you a range of temperatures, so you can warm milk gently or boil a large pan of water quickly. 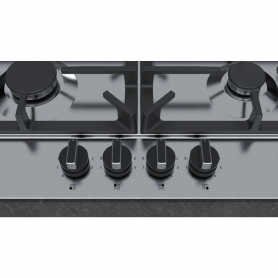 The T26DS59N0 has four burners, with the most powerful reaching a huge 3 kW. Each burner has two continuous cast iron pan supports, which can handle all types of pans. You’ll find easy access ‘sword’ controls at the front, which have a better feel and are easier to operate. These include turn and push button ignition, which lights the zones in one smooth movement, so you’re ready to start cooking in seconds – you can even do it with one hand. There’s also a clever FlameSelect feature, which controls the gas flow for precise, reliable heat. Each control knob has nine heat levels, so you can cook any meal perfectly. Add a contemporary touch to your kitchen with this built-in hob. 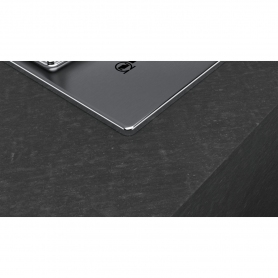 The NEFF T26DS59N0 will integrate into your worktops for a sleek, seamless appearance – it’s family friendly and practical too. 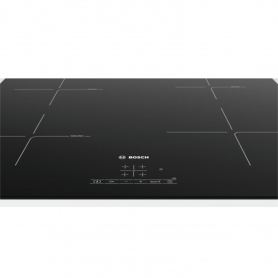 In terms of size, this hob has standard dimensions with a 60 cm width. 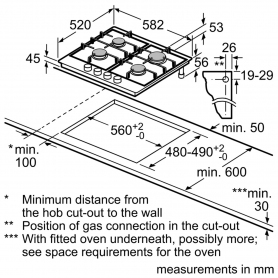 It will fit neatly under an extractor fan or above a built-in oven. NEFF’s flame failure safety device (FFD) prevents gas leaks in the kitchen. It turns off the gas automatically if the flame is extinguished – ideal if a pan boils over. An LPG conversion kit is also included with your purchase, so not to worry if your home doesn’t have a mains gas supply. Whether you’re a professional chef in the making or just want to make delicious family meals, this NEFF gas hob is ideal. Click ‘Add To Basket’ to buy the T26DS49N0.